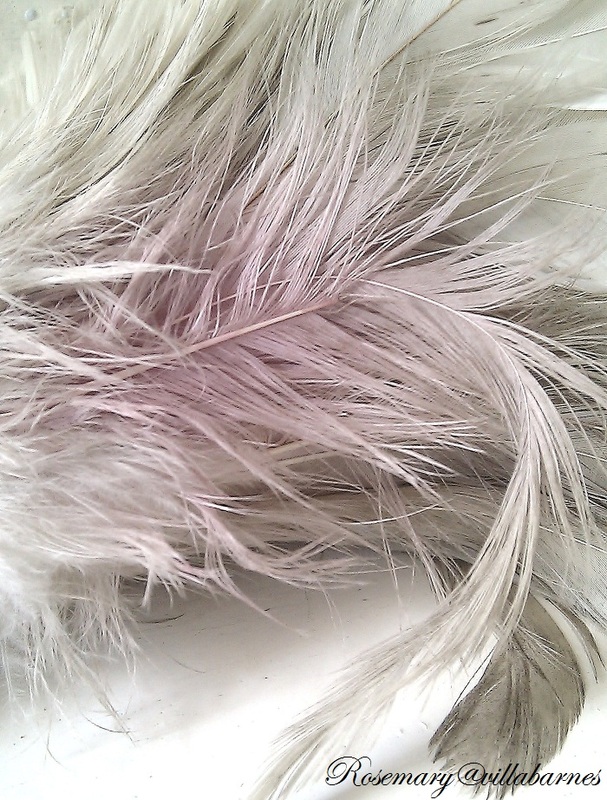 I'm loving my vintage feather duster, with touches of pale pink. I found it at a local resale shop. There's something very dreamy about it. Speaking of dusting. That's what I've been doing this weekend. I've also started painting. Not furniture, but rooms in my house. I've been putting off quite a few projects. I'll have to show you a room when I'm done. Something else I picked up are these shabby sea shells (Try saying that three times fast.) from the Pacific Ocean. 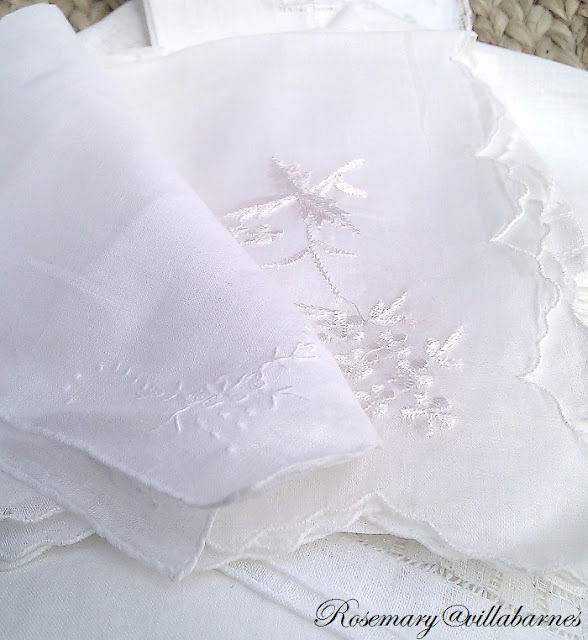 A pile of delicate vintage linens and hankies, unearthed at an estate sale. All in unused condition. Love em. Here's a peek at another find. Can you guess what it is? It needs a little help. I'll show you the complete makeover in another post. See ya soon. I used to have a vintage feather duster that I used all the time. I don't know what happened to it- never did see it after we moved! Love that little peek of a piece of furniture!!! 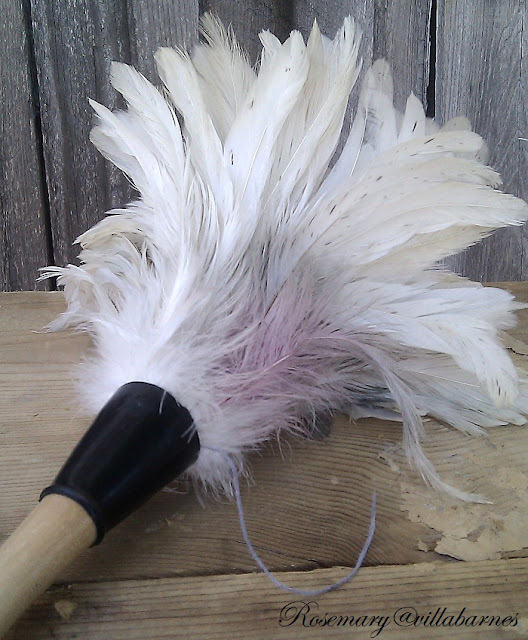 I have two ostrich feather dusters and love them. 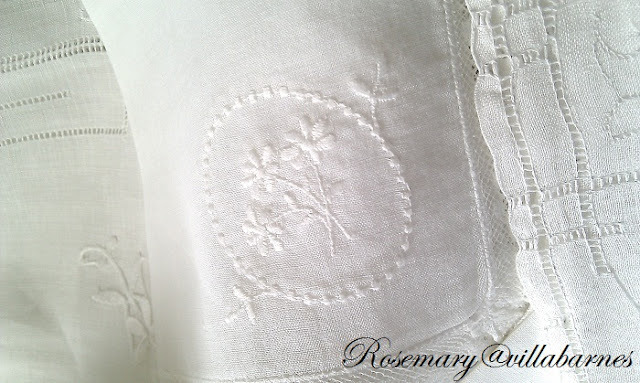 The vintage linens are gorgeous! I can't wait to see what you do with them. 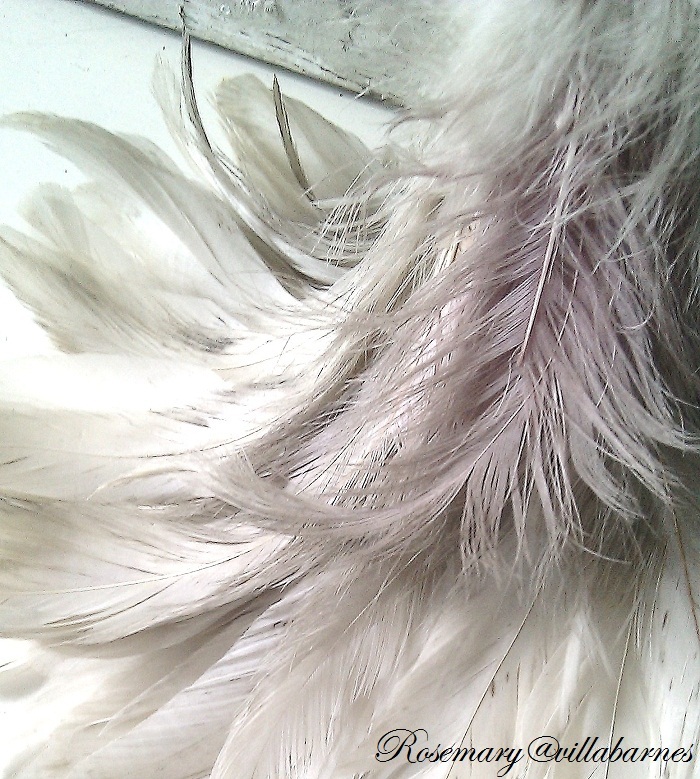 Love the feather, so soft and the texture of a shell is lovely. Looking forward to see your painting. I can't wait to see what you've done with that dresser! 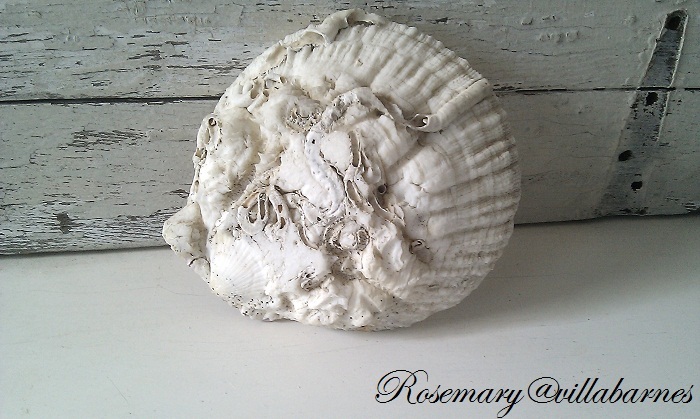 Love your shabby sea shells! You've found lots of great things this week, Rosemary! I can't believe you found such great hankies in such great condition. 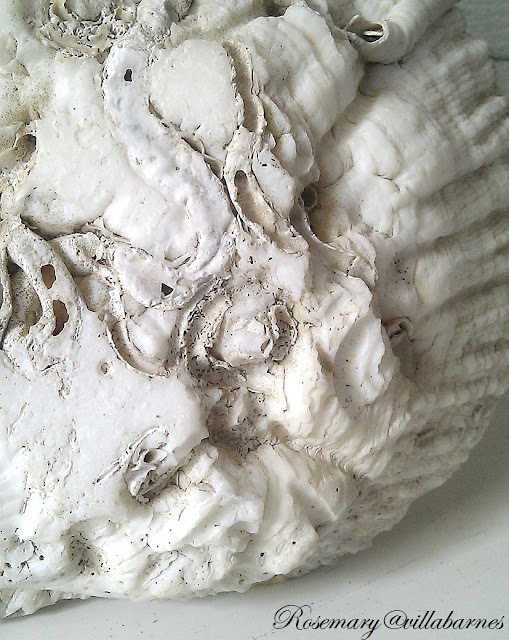 Beautiful shells and the linens are are lovely, the duster is pretty and handy. Absolutely gorgeous! The hankies are lovely! Your new furniture says I see a project coming! What great lines! Great finds you always find the best stuff. 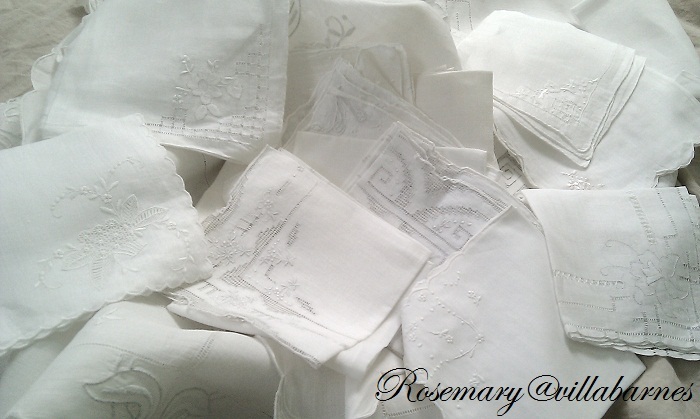 Thank you dearly Rosemary your encouraging words to my art of transforming pieces of old I treasure. Your feather duster is a perfect find, you make me wish I could find one with such beauty as yours. I am forever inspired with all your treasured finds and the painting that goes on over here as well. I am excited to see the rooms you have painted and what tone you created for the rooms filled with your talents. I have never seen a feather duster that pretty!! !...There is so much "pretty" in this post...You really acquired some great linens...Looking forward to your makeover project! Have a great day Rosemary! Loving all your finds today.. Love the linens especially. Have a wonderful week dear lady. Rosemary, what pretty things! 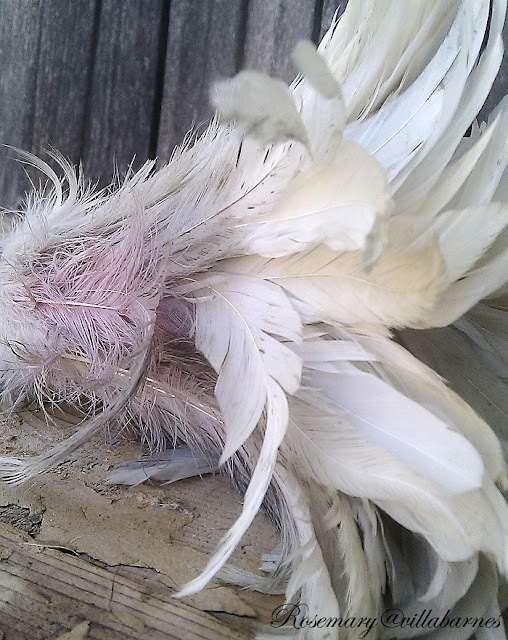 I've never seen a pretty feather duster! LOL! All of these items are just lovely! So many great finds! Can't wait to see how you use all of them. 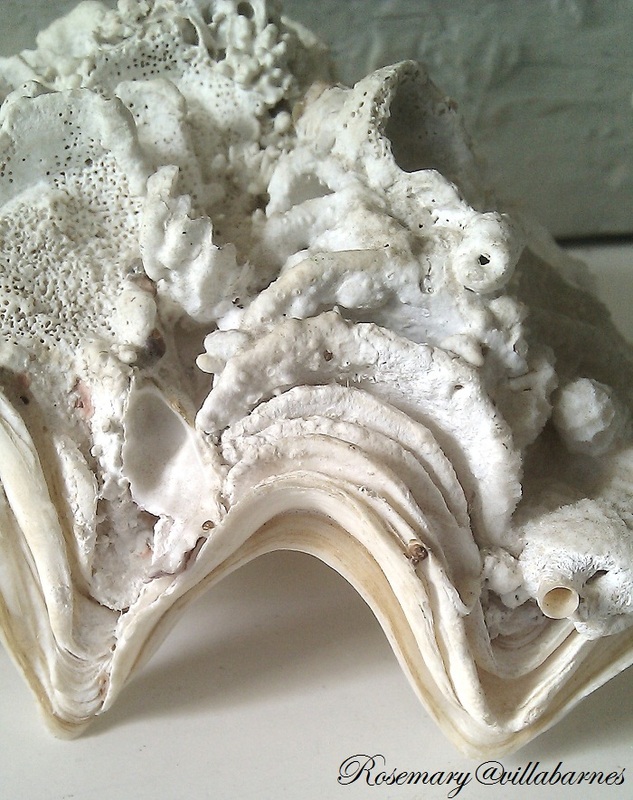 The shells are great. You always find such neat treasures. 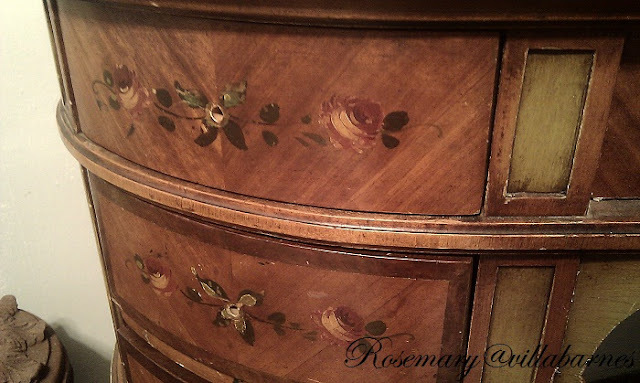 And, is that piece maybe a thread/sewing cabinet?? Can't wait to see. And, anxious to see your finished rooms too. THANKS FOR SHARING.